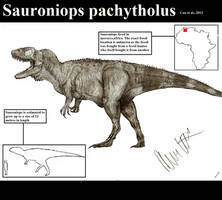 The first Pachycephalosaur known from reasonably complete remains. 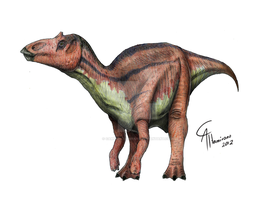 When it was first discovered, deprived of the context of its relatives, Stegoceras was something of an anomaly, considered perhaps to be a very unusual, thick skulled Ornithopod. The stripes look like wishbones and islands and it looks pretty bizarre on a Pachy of any kind. I love the colors and markings you chose.